Écologie : Lieux cultivés et incultes, dans toute la France et en Corse. A rather slender, hairy, but not glandular, perennial, with decumbent, then erect, flowering stems 5-15 cm high, growing from a slender, creeping rootstock. Ecology UK: It is found abundantly in fields and waste ground throughout the British Isles. 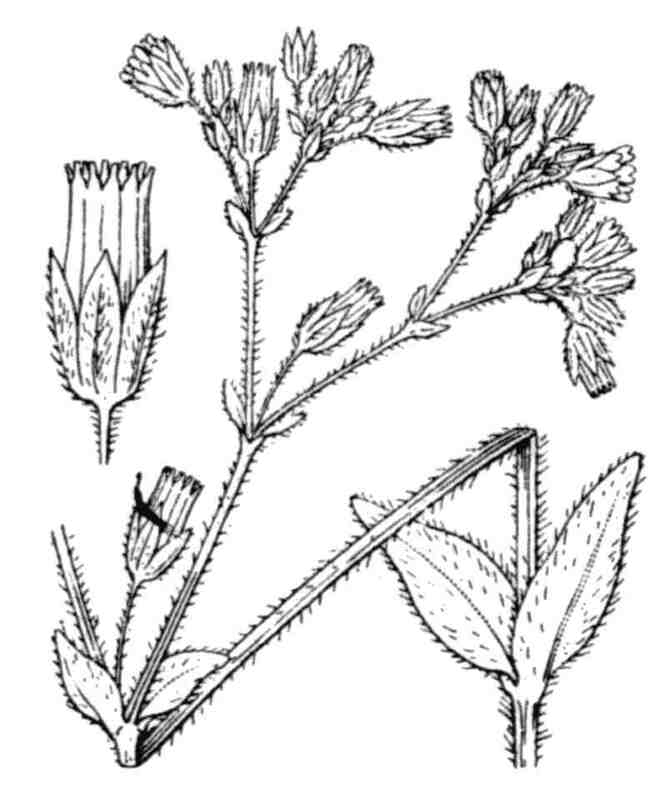 Flowers: 5-partite, 8-10 mm diam., in an elongated cyme; sepals ovate-acute, with a membranous apex and margin; petals white, usually veinless, rather broad, deeply bifid, about as long as sepals. Flowering UK: Early May-mid Oct.
Leaves: Stems few, almost simple; bracts with membranous tips. Fruit : capsule courbée, [à 10 dents], 1 fois plus longue que le calice. Fruit: Capsule 10-13 mm long, curved, twice as long as calyx, about as long as pedicels, more or less erect; seed 7 x 6 mm, roundly ovoid, ridged and tubercled, lobed, yellow.